It’s 1863, and schoolteacher Olivia Owens believes education should be a top priority in the newly established settlement of Good Springs. Between planning lessons and helping out on her family’s homestead, Olivia doesn’t have time for Gabriel McIntosh’s charming advances. When the council denies her request to build a schoolhouse, Olivia must challenge their ruling and teach private lessons—all while hiding frequent bouts of word blindness (dyslexia). If the council knew the new teacher couldn’t always read, they wouldn’t allow Olivia to teach anymore. As a carpenter, Gabe McIntosh is working hard to help build the settlement of Good Springs, and once his land is granted, he begins constructing his own house. When Olivia discovers he plans to share it with her, she guards her heart from him. But Gabe is determined to win her affection and figure out what she’s hiding. This is the second book in this series and feel you do need to read them in order. I enjoyed revisiting the characters of Good Springs. Like the first book I thought the characters were well developed. As well I thought the scenes were well described. 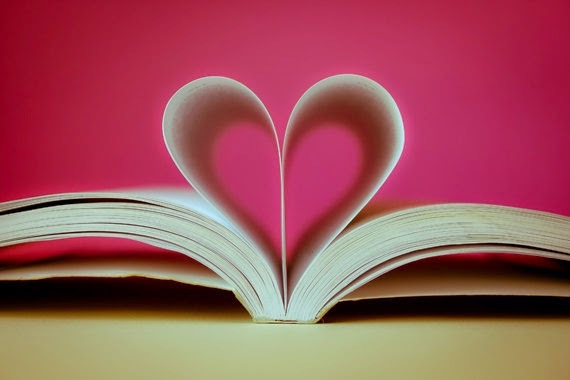 It was nice to watch Olivia and Gabriel's relationship grow throughout this book. I liked how the author makes the characters come off the pages and sometimes deal with some hard issues. Like Olivia is hiding dyslexia. I can imagine at times it may have been challenging for her to teach with her bouts of blindness and the dyslexia. The author also did a good job telling us what is was like to start a new colony and the hardships that go along with it. I am hoping this series continues on as I can't wait to see how this colony continues to grow. Keely Brooke Keith writes inspirational frontier-style fiction with a slight Sci-Fi twist, including The Land Uncharted (Shelf Unbound Notable Romance 2015) and Aboard Providence (2017 INSPY Awards Longlist). Keely also creates resources for writers such as The Writer’s Book Launch Guide and The Writer’s Character Journal. Born in St. Joseph, Missouri, Keely grew up in a family that frequently relocated. By graduation, she lived in 8 states and attended 14 schools. When she isn’t writing, Keely enjoys playing bass guitar, preparing homeschool lessons, and collecting antique textbooks. Keely, her husband, and their daughter live on a hilltop south of Nashville, Tennessee. 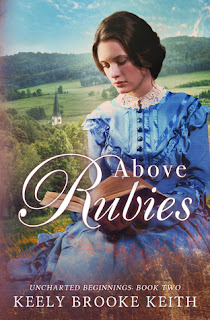 Thank you for featuring Above Rubies today, Angela!